Weighty Matters: OB/GYNs vs obesity. Blatant discrimination or professional honesty? OB/GYNs vs obesity. Blatant discrimination or professional honesty? In case you haven't heard the story, apparently there's a group of OB/GYNs in Florida who are actively refusing to follow pregnant women who are obese. The rationale they've presented is that they're too complicated, and for their patients' safety they're electing not to see them. Instead they're suggesting their patients with obesity get referred to specialized high risk obstetricians. Now it's certainly a fair point to state that pregnancies in patients with obesity do carry more risk, both to moms and to babies, but the question that leaps to my mind is whether or not the OB/GYNs are telling the truth? Would the care they would be capable of providing these patients truly be substandard, or are they just avoiding taking on more complicated patients? Put another way, are these OBs blatantly discriminating against people with obesity, or are they trying to protect them from their own professional inadequacies? Now I'm not an OB, so for the sake of this discussion, I called up my friend Dr. Glenn Posner who's an OB here in Ottawa. Glenn broke it down practically. He confirmed that managing labor in women with obesity is more challenging. 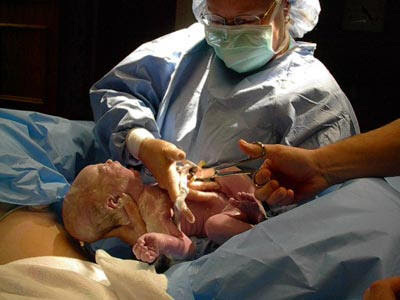 He told me that it's significantly more difficult to monitor the baby, and if things go sour, it takes more people to help in the OR and the skin-to-baby time for a crash C-section is much longer. He also stated quite emphatically that just because there's a greater degree of difficulty didn't in his mind justify refusing to care for a significant, and growing, percentage of patients, and that indeed, any OB/GYN out there should be sufficiently trained to handle them. Our discussion then turned to why these docs, who certainly are capable of caring for patients with obesity, have chosen not to. We came up with a few options. 1. Overt and ugly bias. 3. Inadequate facilities - equipment does matter and depending on weight, may not be readily available. 4. Fear of litigation - with a much higher rate of complications, it may well stand to follow that there's a much higher risk of lawsuit. Any way you slice it, it ain't pretty.